Her practice focuses on employment-based (temporary and permanent) and family-based immigration petitions and applications. She represents the firm’s clients before the U.S. Citizenship and Immigration Service as well as consular and other government authorities in the processing of E-2 Treaty visas for investors and managers, O-2 visas for extraordinary ability and L-1 intracompany transferee for executives, managers and specialized knowledge visas. Before joining Shutts, del Castillo-Payet served as in-house counsel to a multinational insurance corporation in New York City, where she oversaw the legal conduct and compliance of the entity’s corporate subsidiaries with the mandates of domestic and foreign regulatory bodies. 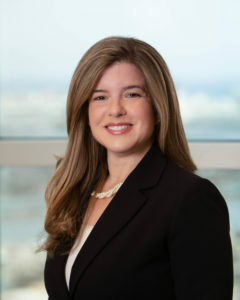 In addition, the Miami native previously served as Assistant County Attorney at the Miami-Dade County Attorney’s Office, representing the county in actions involving civil rights, code enforcement, construction disputes, workers’ compensation, bid protests and torts. Del Castillo-Payet has taught business law courses as an adjunct professor at the University of Miami focusing on employment law, bankruptcy law, contract law and corporate compliance with immigration laws and regulations. She received her J.D. and a Bachelor’s degree from the University of Miami.